One of the wonderful things about the internet for me is connecting with like-minded people. 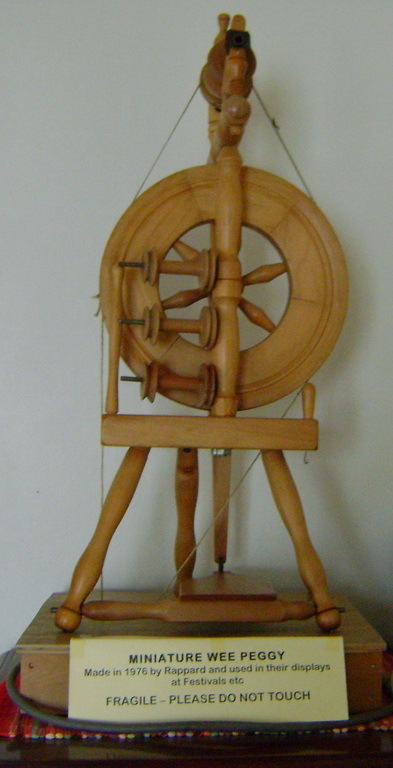 It’s opened up a whole new world when it comes to my yarn and fibre hobbies of knitting and spinning. 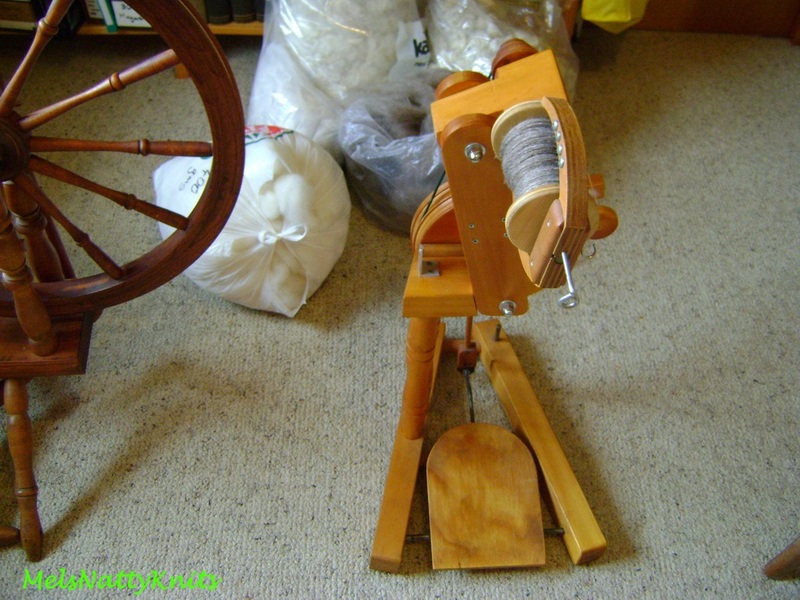 I discovered Ravelry and then discovered so many knowledgeable people who know so much about spinning wheels. 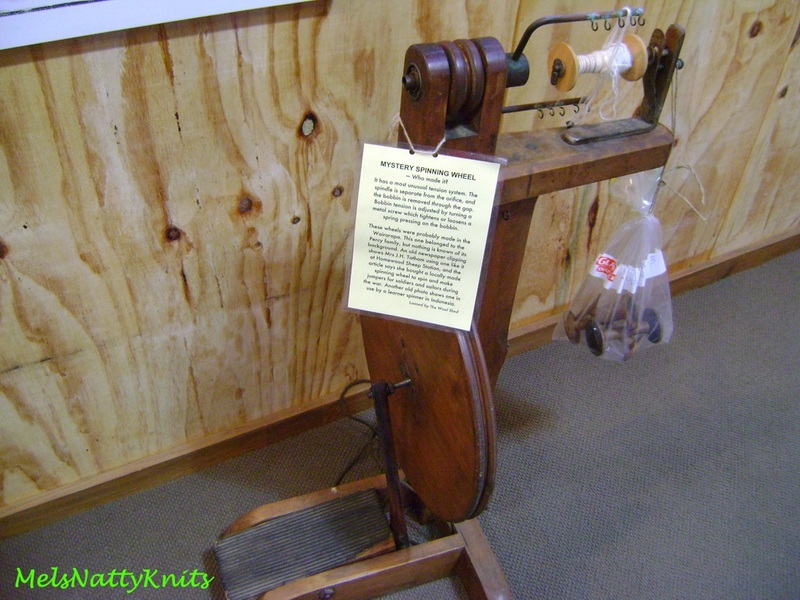 One in particular is Mary Knox who is the creator of the New Zealand spinning wheels website. 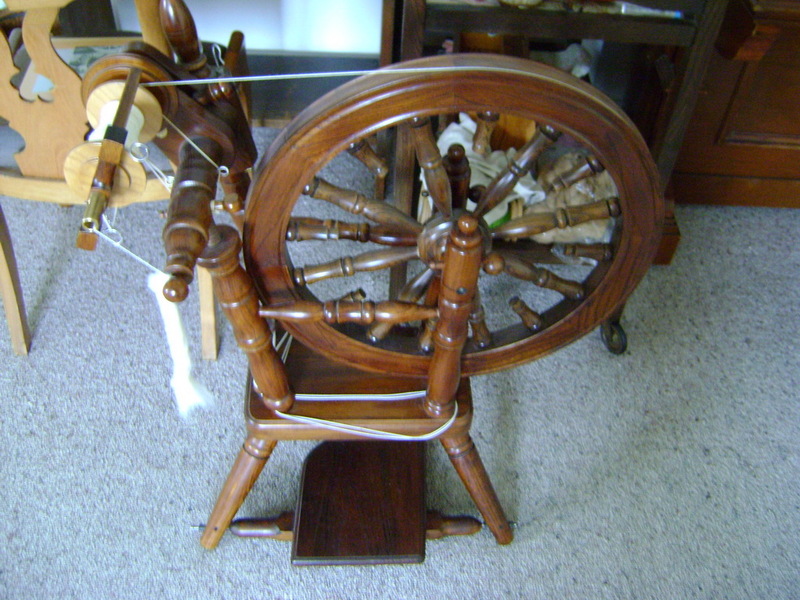 I contacted Mary a couple of years ago when I bought my Little Peggy spinning wheel. Being a complete novice, I had no idea about it and whether it was complete. Mary gave me so much information and really helped me identify bits and pieces on my wheel. Since then I have kept in contact with Mary and she’s provided me with bits of paperwork that relate to other wheels I’ve acquired. 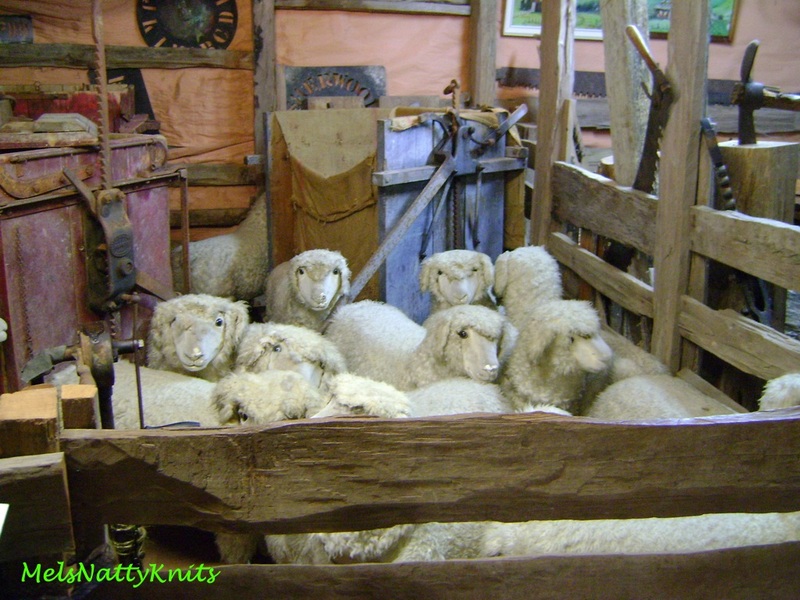 When Mary knew I was cruising around New Zealand and would be spending a day in Wellington we hatched a plan whereby we could meet up. As there was no suitable train available for me to travel to her hometown, Mary and and her husband Fred very kindly picked me up from Wellington where the ship docked. It was so exciting to finally meet Mary and her husband. Fred very kindly sat in the back of their car while Mary and I spent the next 1½ hours chatting on the drive to the beautiful Wairarapa region. 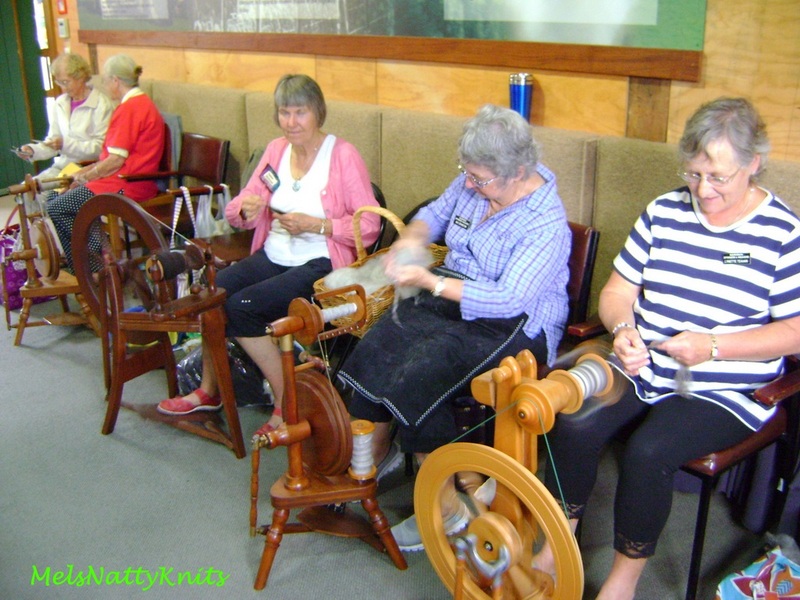 We arrived at The Wool Shed in Masterton where the Wairarapa Spinners & Weavers Guild were having their Wednesday meeting. How opportune that I should be in the area on the same day! 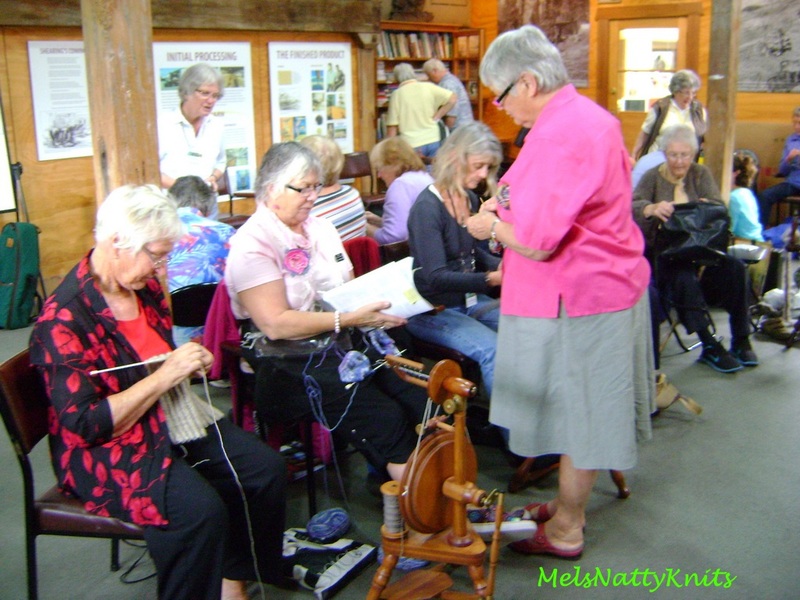 I loved being amongst all those lovely spinners and knitters. The surrounds they meet in are just stunning. It really was like stepping back in time. 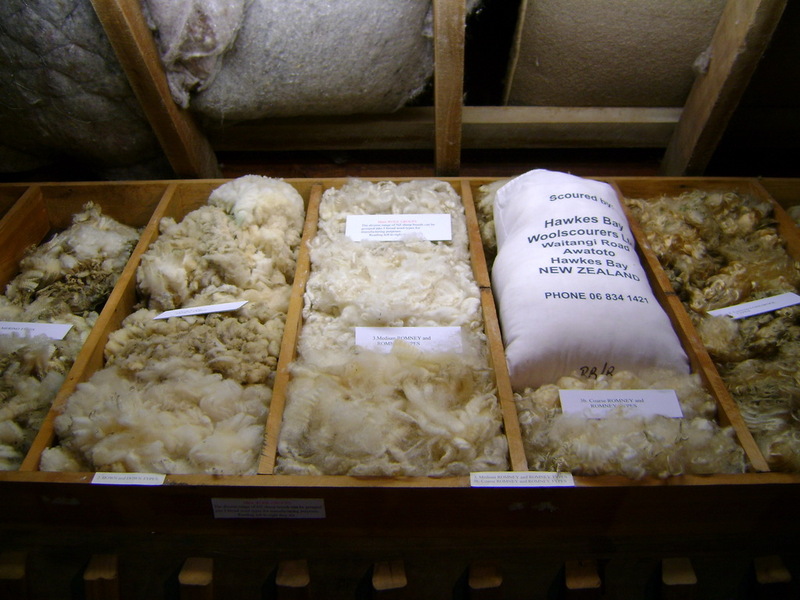 The Wool Shed is two authentic wool sheds trucked in from real farms, full of new and historic shearing equipment and sheep farm gear. 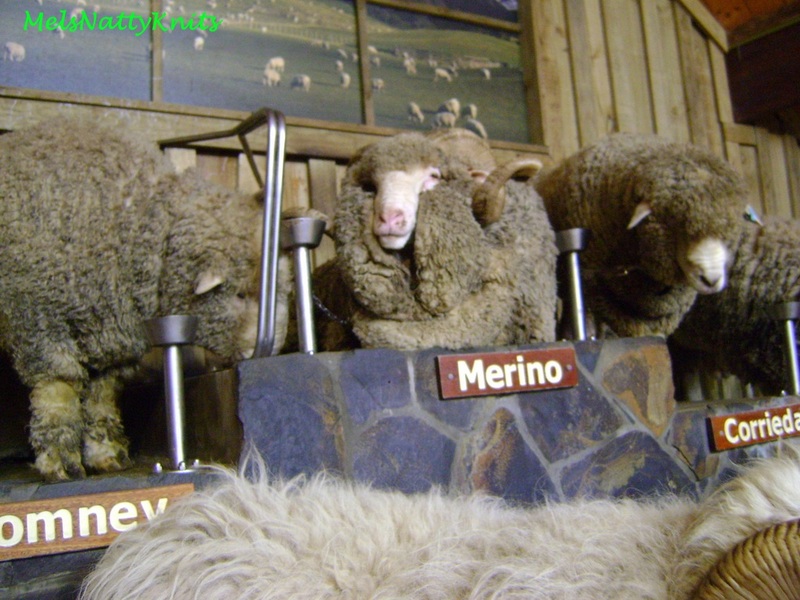 There are also displays describing the history of sheep farming and its importance to New Zealand, samples of wool types and wool end-products, spinning and weaving demonstrations, the story of shearing – its beginnings and how it became an international sport, shearing demonstrations in the historic wool shed and a shop with its wide range of wool garments and souvenirs. 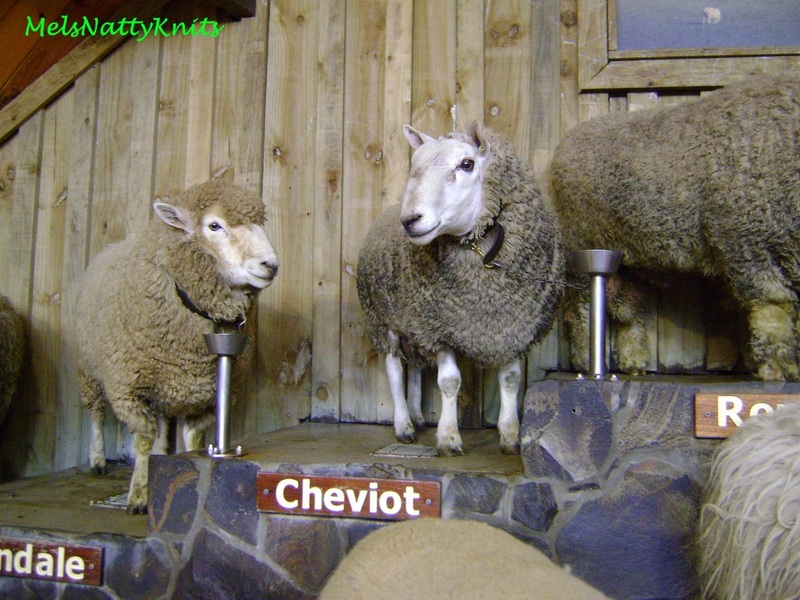 Don’t these sheep look like the real deal? 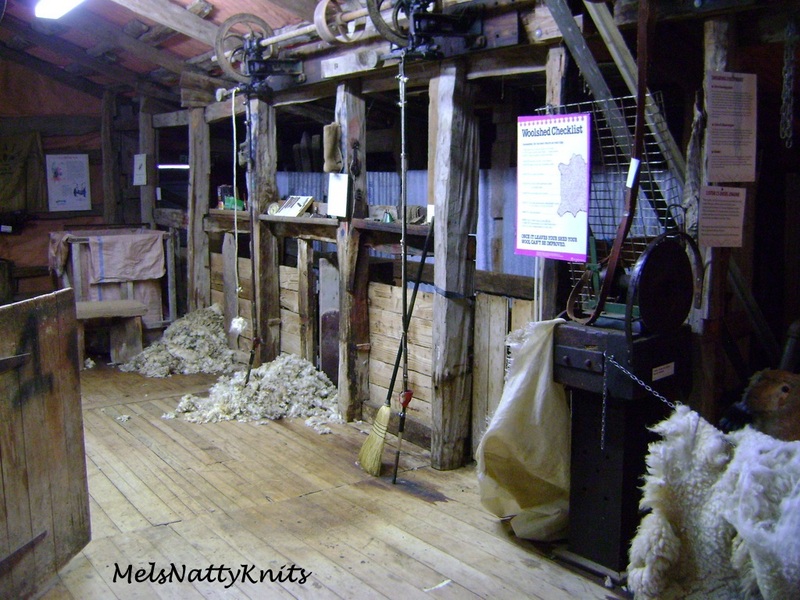 It’s fantastic see the history of The Wool Shed retained and used by the community at the same time. 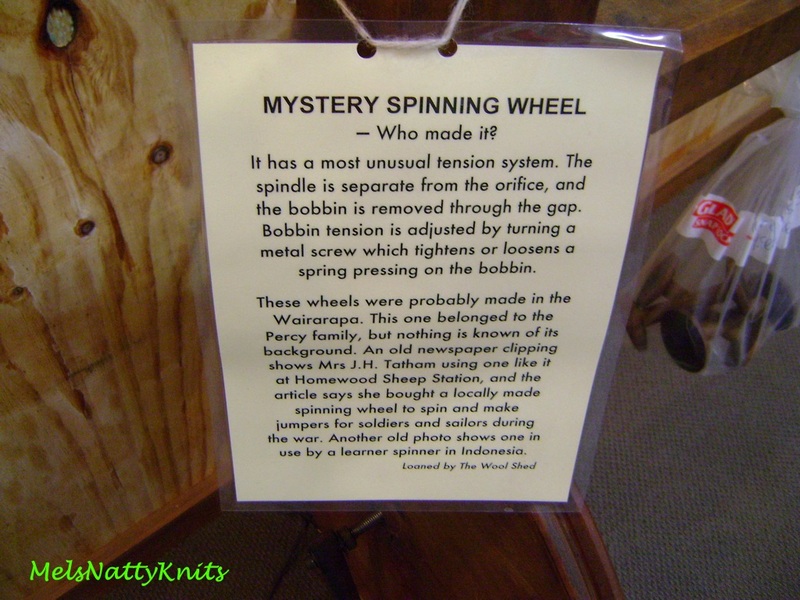 I loved looking at the spinning wheels on display and particularly the mystery wheel. 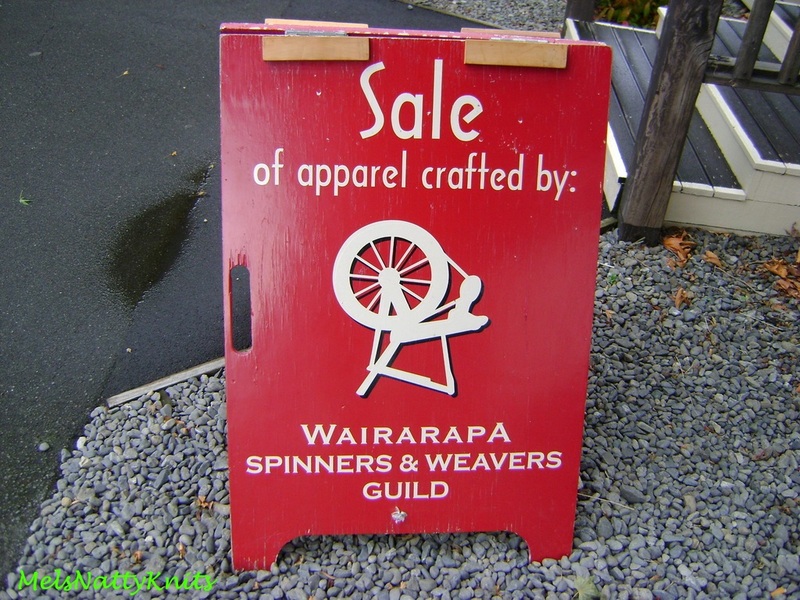 And I couldn’t resist looking in the shop at the goods sold by the Wairarapa Spinners Guild. 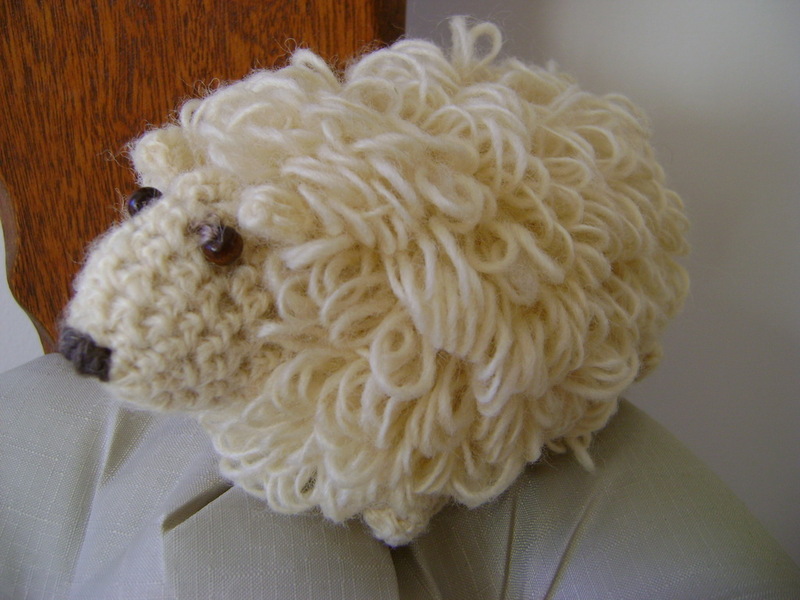 I bought this cute little crocheted wool sheep as a memento of my visit. 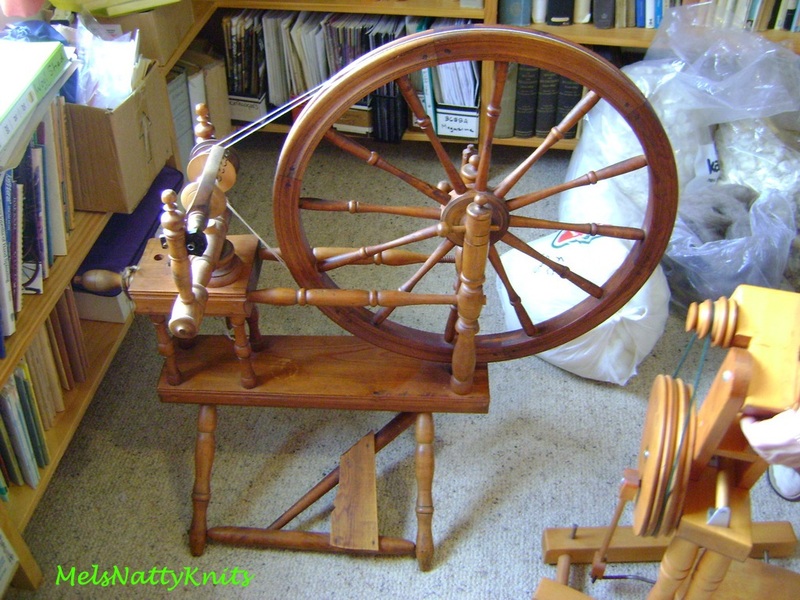 At Mary and Fred’s home we had a cuppa and muffins and Mary showed me her spinning wheels. 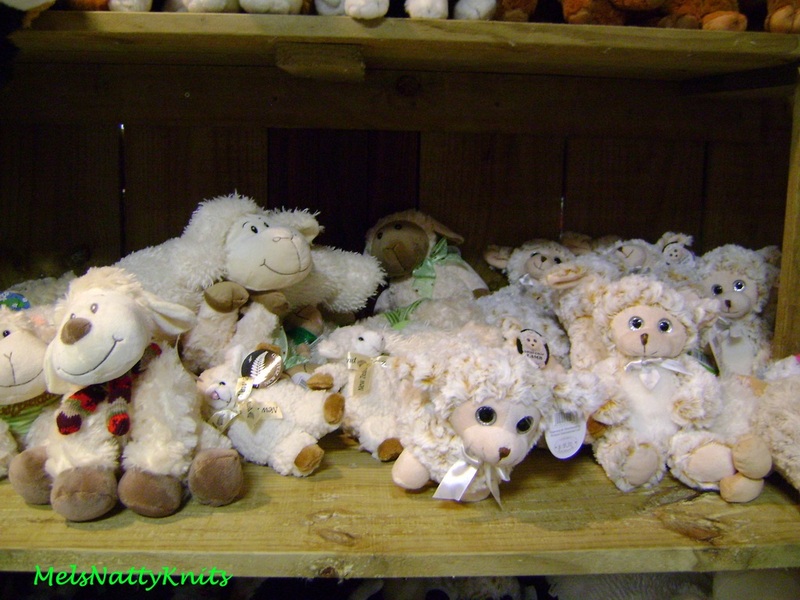 I wanted to pack them in my suitcase and bring them home! 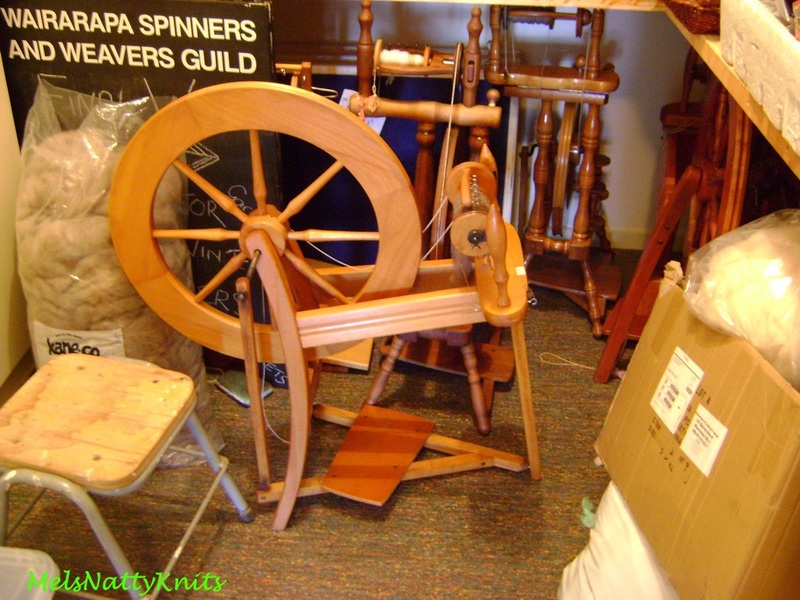 Particularly the miniature Rappard Wee Peggy wheel. It is just so unique. And then it was back in the car and the 1½ hours drive back to the docks to board my ship for its journey onto Akaroa and Christchurch. What a simply magical day with such kind New Zealand hospitality. I love this country so much. 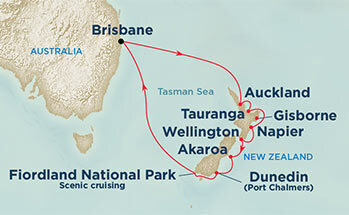 It’s my second visit there in the last nine years and I’ve just re-booked myself on the same cruise departing Brisbane in October 2016; that’s how much I’m keen to get back plus I enjoy the cruising experience. It’s also good to have something to look forward to don’t you think? And I might add as I boarded the ship everyone was talking about how wet and windy it was in Wellington. 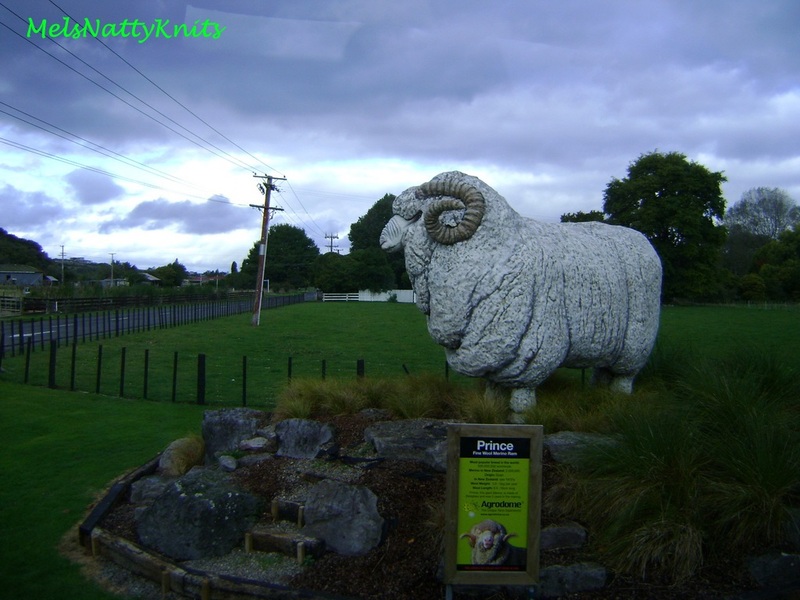 Not in Masterton it wasn’t 🙂 The rain held off and it certainly wasn’t cold. I was truly blessed. Thank you so much Mary and Fred. 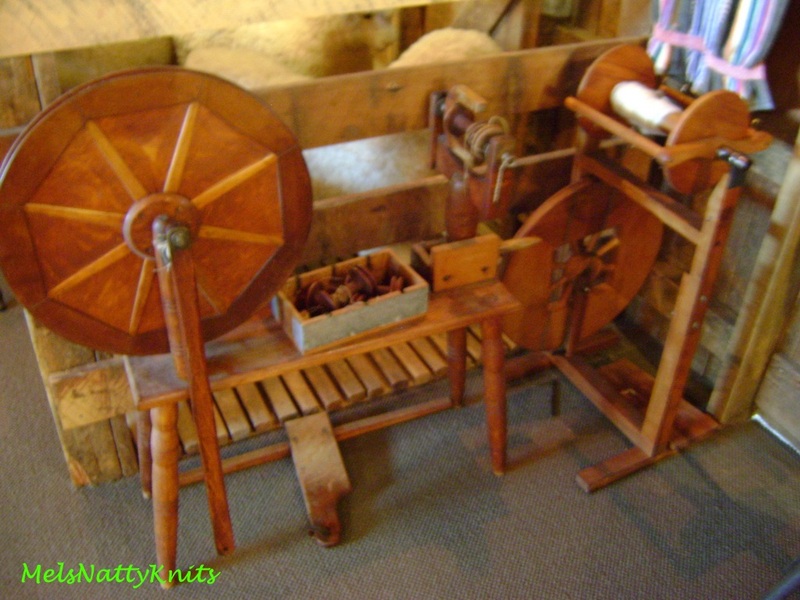 And thank you so much Mary for your CD book ‘New Zealand Spinning Wheels and their Makers’. Here’s a photo of Mary (right) and me (left). This was a trip and a day I’ll treasure and remember forever. I can’t believe how the last two weeks have flown by. 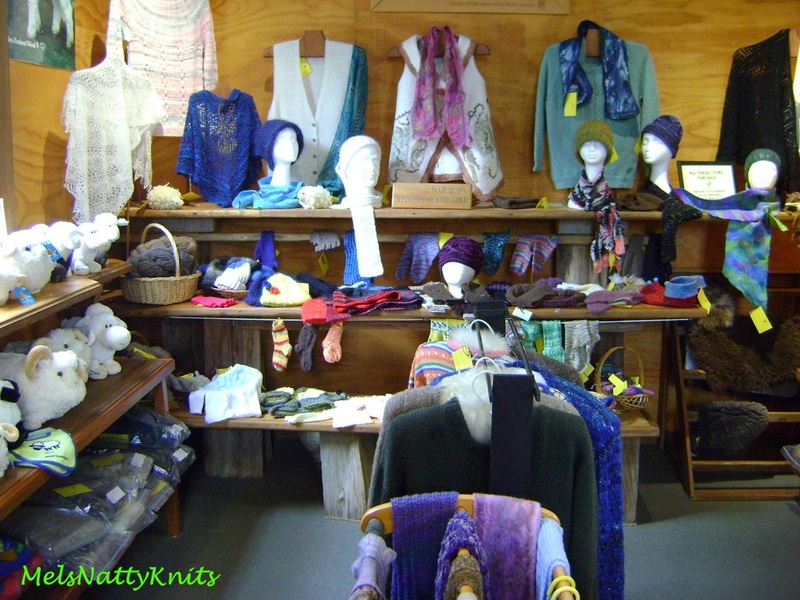 I am now back from my wonderful cruise around the beautiful New Zealand and am in the process of unpacking, washing, sorting out souvenir gifts and of course, catching up with my blog. 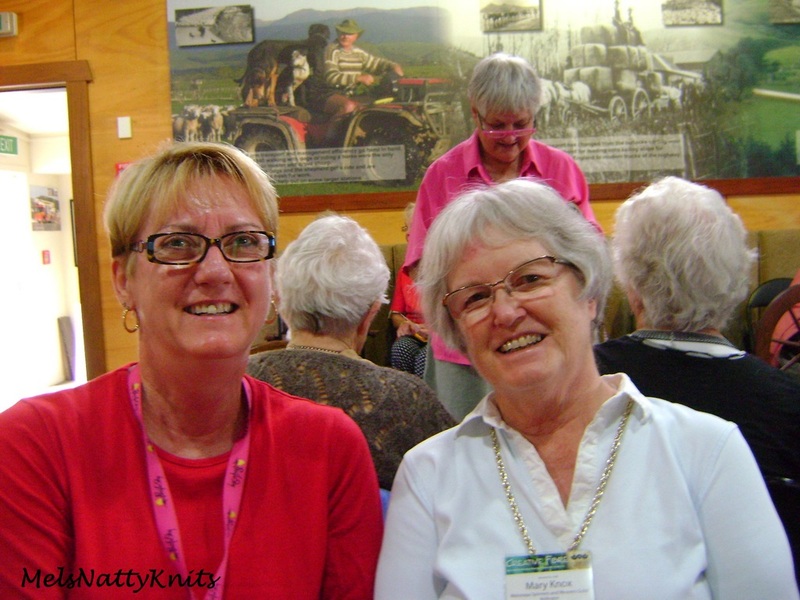 I met some wonderful people on the cruise and quite a few knitters too! It’s amazing how many people stopped to chat with me and to ask what I was knitting. I managed to finish one scarf, start another and complete a pair of socks. 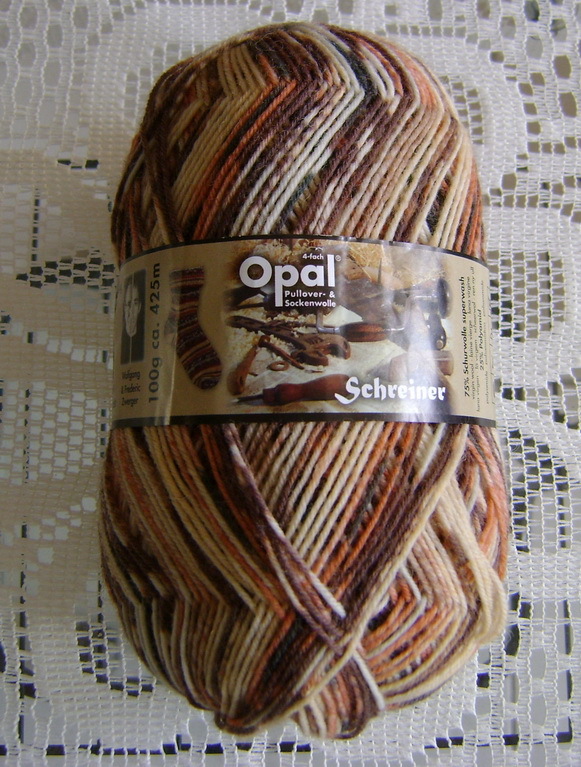 There’s lots of knitting time when you’re sailing for three and four days in a row! 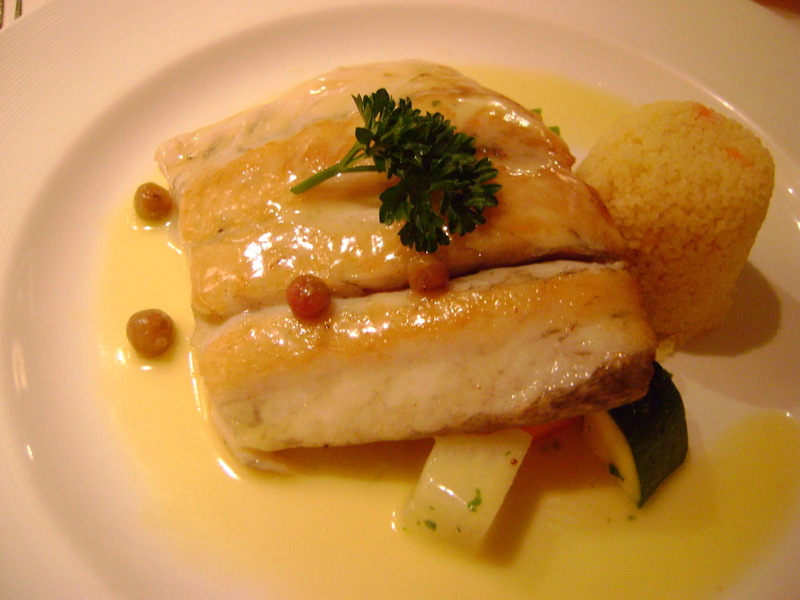 Cruising is very bad for your waistline I must say as you’re tempted with so much wonderful food. And every meal is three courses too. After a couple of days I cut out the large lunches as I couldn’t justify eating when I wasn’t actually hungry. One of the cafes had small rolls with salmon and salad and that sufficed until dinner time. 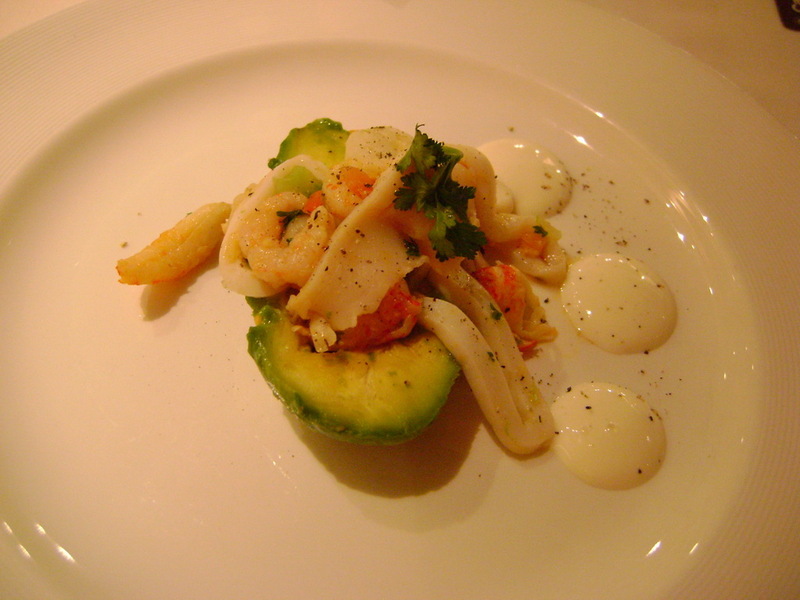 Here’s an example of an entree: Marinated Seafood Salad with Avocado… And a main meal: Marinated Barramundi Fillet with Munthari Butter Sauce… I forgot to photograph the dessert I had that night which was Baked Alaska ‘Grand Finale’. Anyway I digress…..I am going to simply concentrate on one area for each post rather than trying to tell you everything in one story. And my stories won’t be in any particular order either. 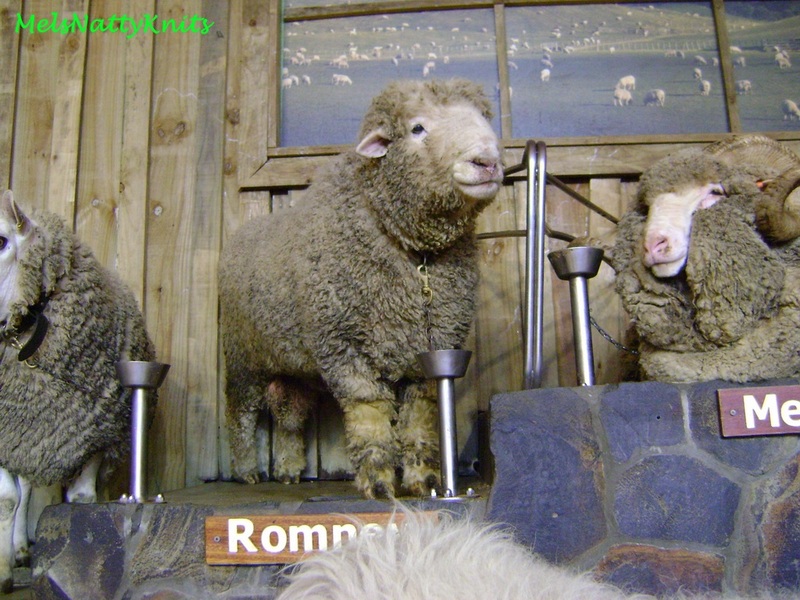 One of the shore excursions offered by Princess Cruises on this cruise was a visit to The Agrodrome at Rotorua. It immediately piqued my interest as I am sure it would yours too! I managed to snap this photo as the bus rounded the entrance. I’m quite pleased how it turned out as I was struggling to get my camera positioned for the photo. 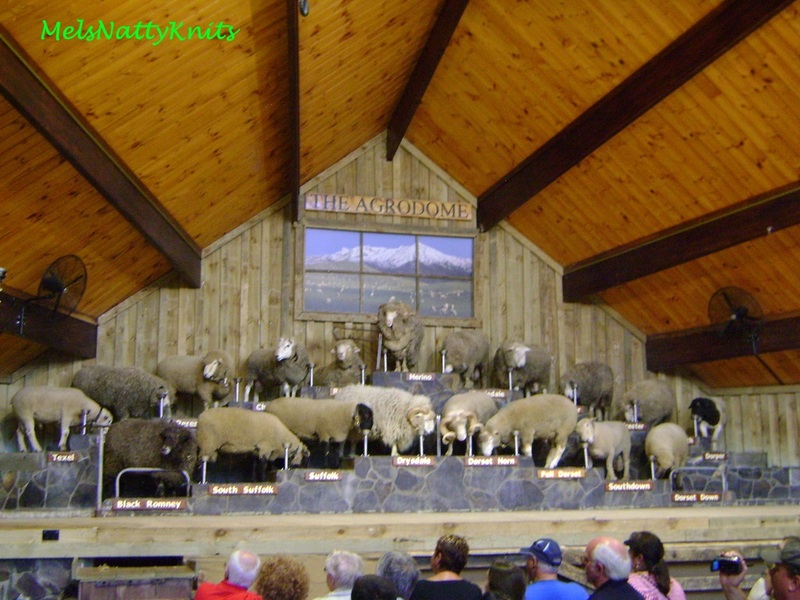 The Agrodome has won the coveted New Zealand Tourism Award for the New Zealand’s Best Visitor Attraction a number of times, and has been awarded more than once for their outstanding service and contribution to the New Zealand Tourism Industry. 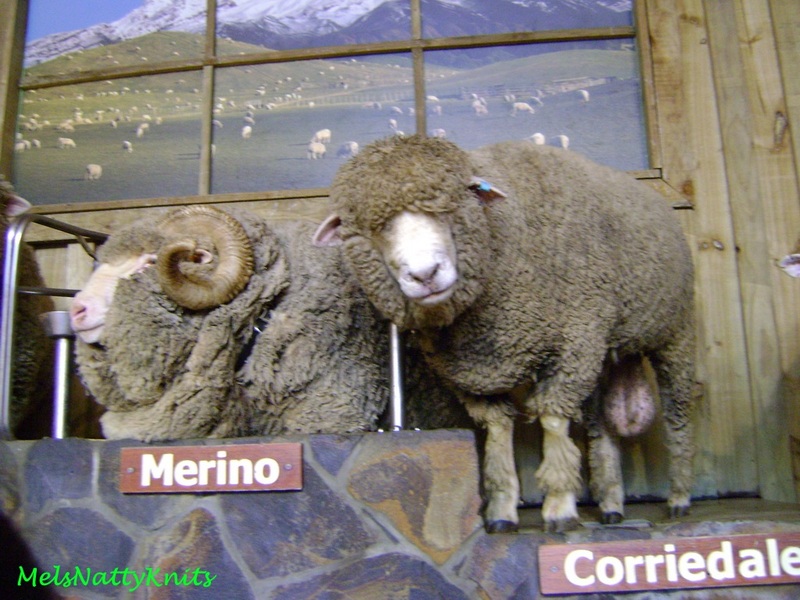 The Agrodome is not just a fun visitor attraction; it is also a real 350-acre (160-hectare) working sheep and cattle farm with 1200 sheep and 120 beef cattle. 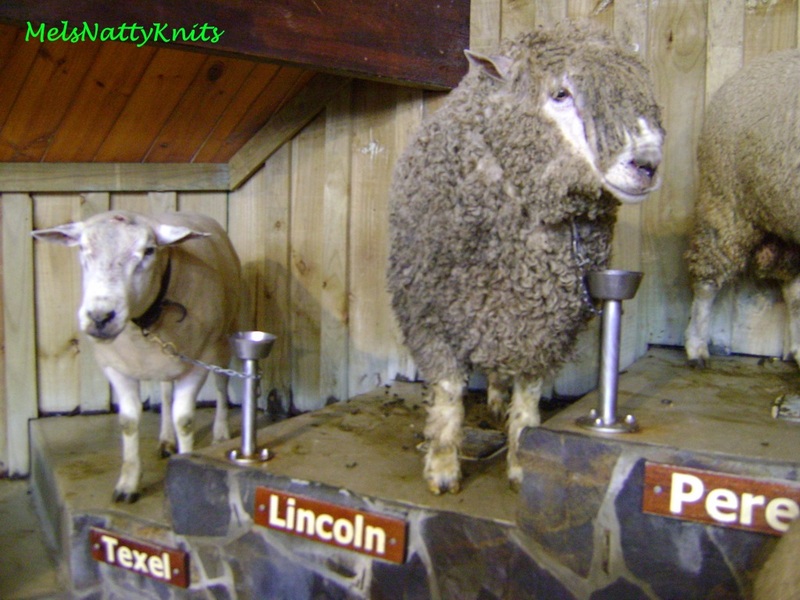 The highlight of my visit was the 19 different sheep breeds that were featured and they were the real thing too! 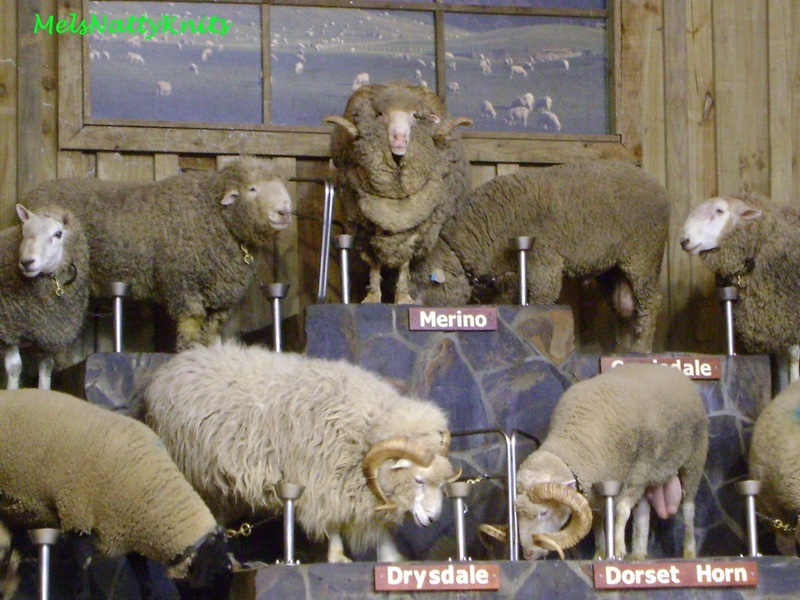 Each sheep ran up the tiered structure and stood on their particular named tier. 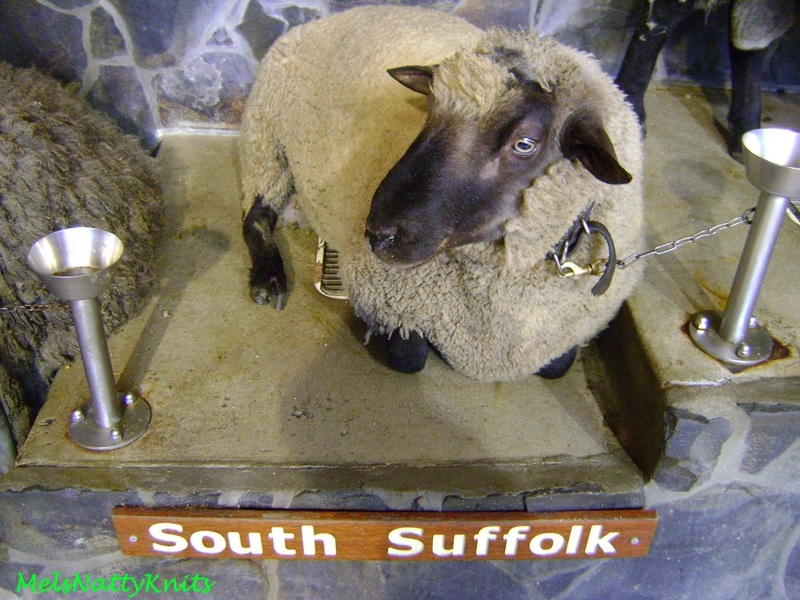 It was simply amazing to see so many different breeds of sheep in the same place. 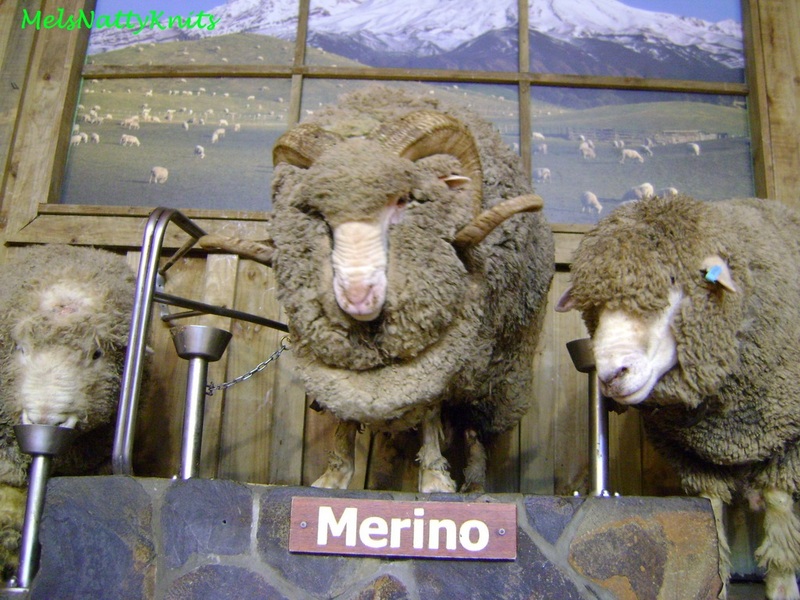 The # 1 sheep was the merino. 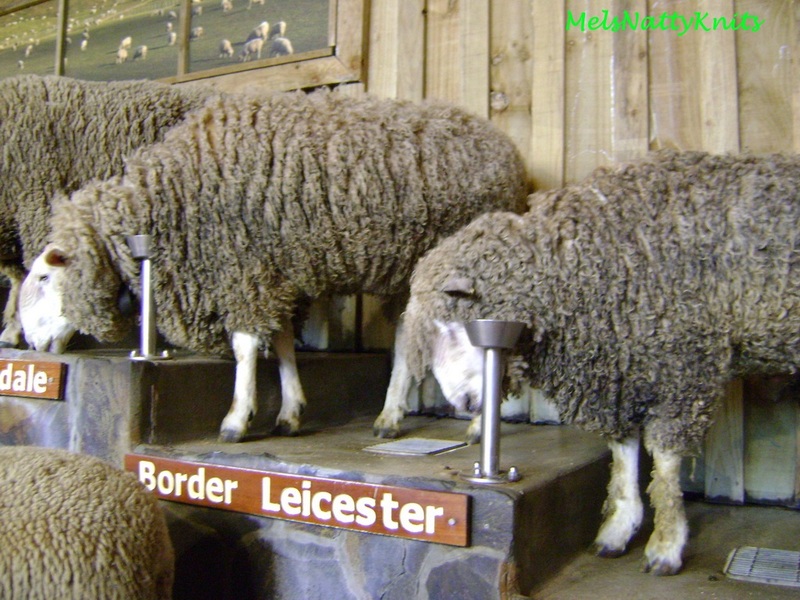 Some of the sheep did little tricks like deliberately stopping on the wrong tier and only moving on when instructed to do so. 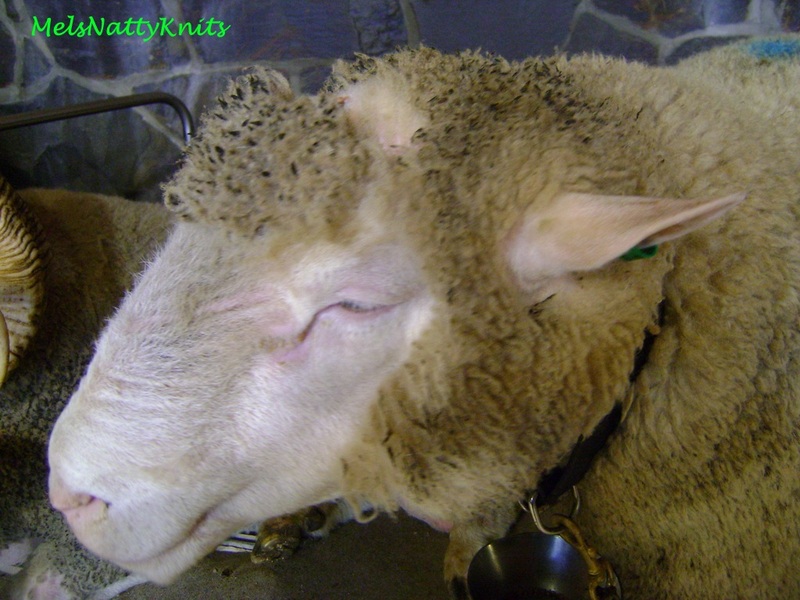 The very last sheep ran onto his tier and very delicately head-butted the sheep beside him. 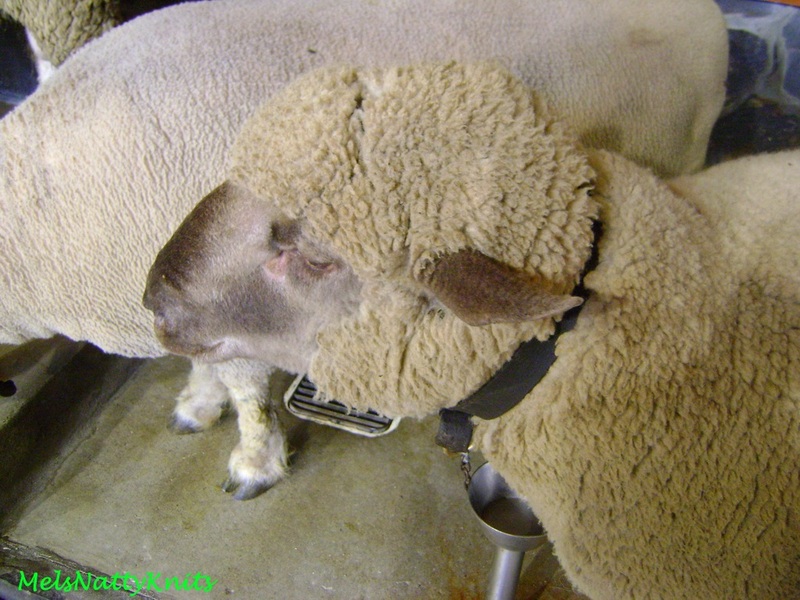 I didn’t realise sheep could be trained like dogs. 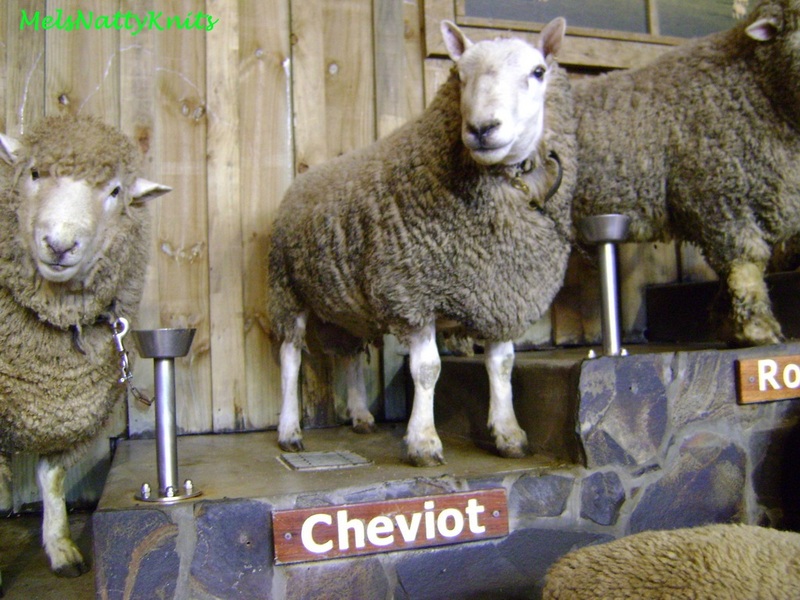 After the show we were invited onto the stage to take photos and pat the sheep. I was one of the first onto the stage and managed to get some great photos. 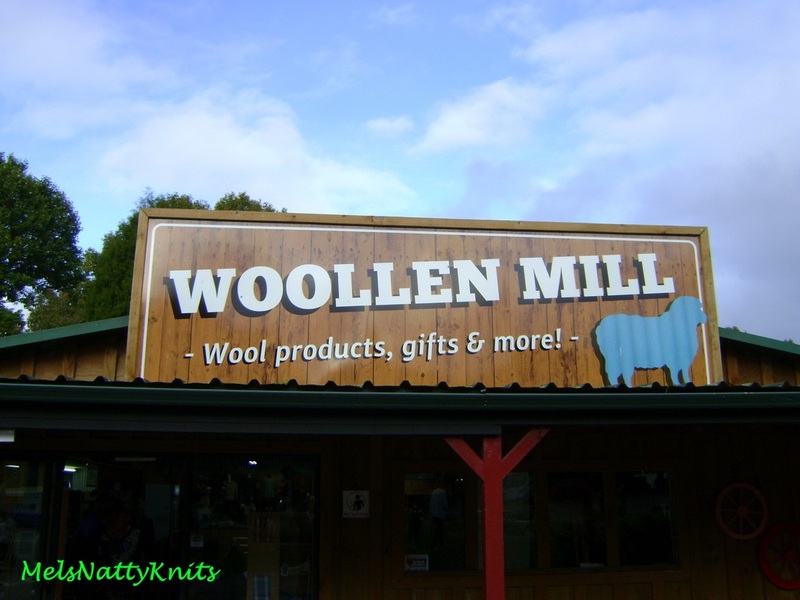 And after the show I had to visit the Woollen Mill to see what goodies I could buy. 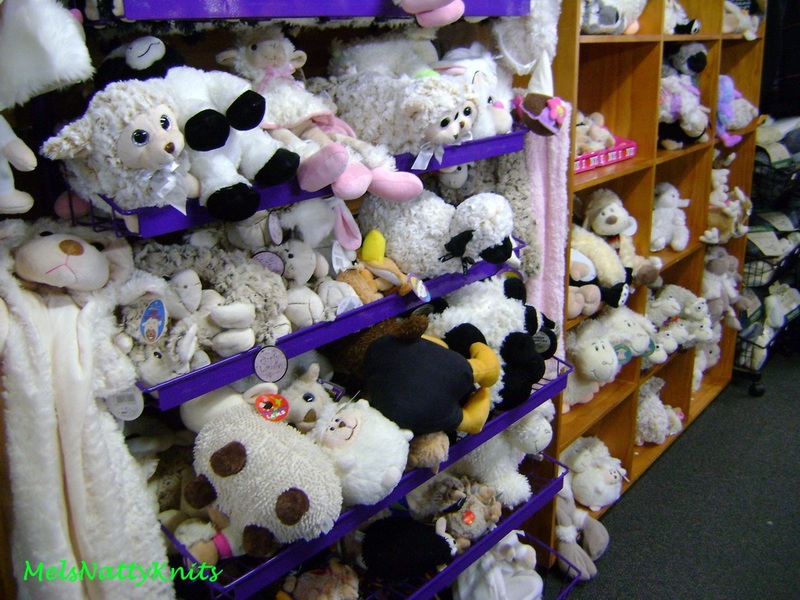 There were heaps of little sheep that tempted me but of course I had to think of what I could carry off the ship. 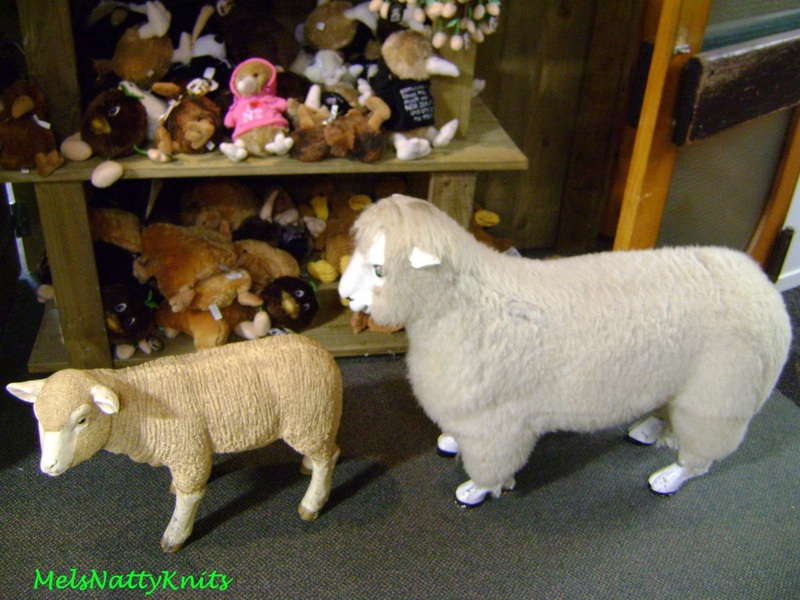 I did end up buying about three little sheep (and one kiwi too) and I’ll feature them in another story. 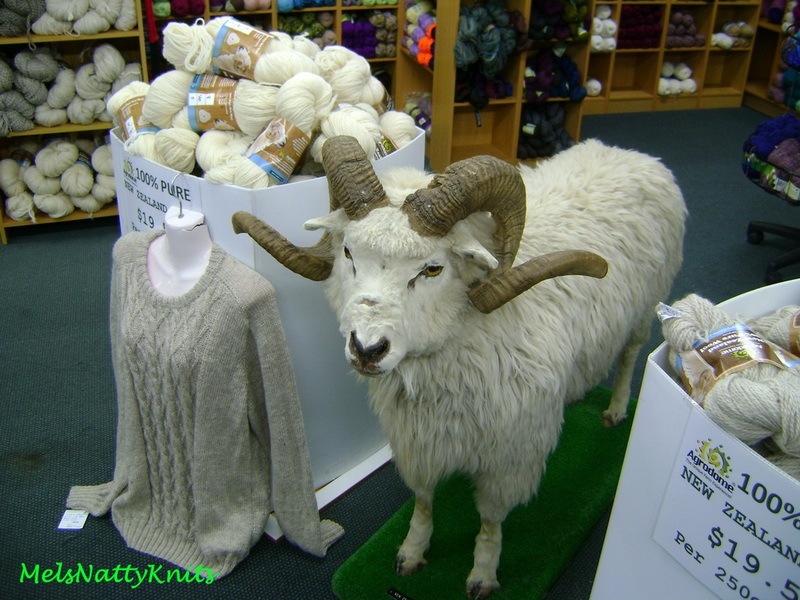 There was plenty of wool for sale too. 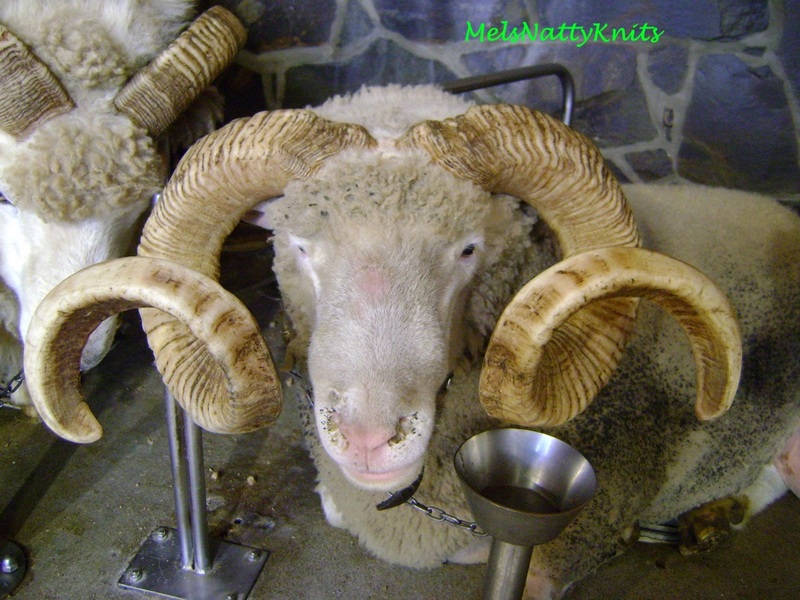 And yes, I bought some wool and will feature it in another story. 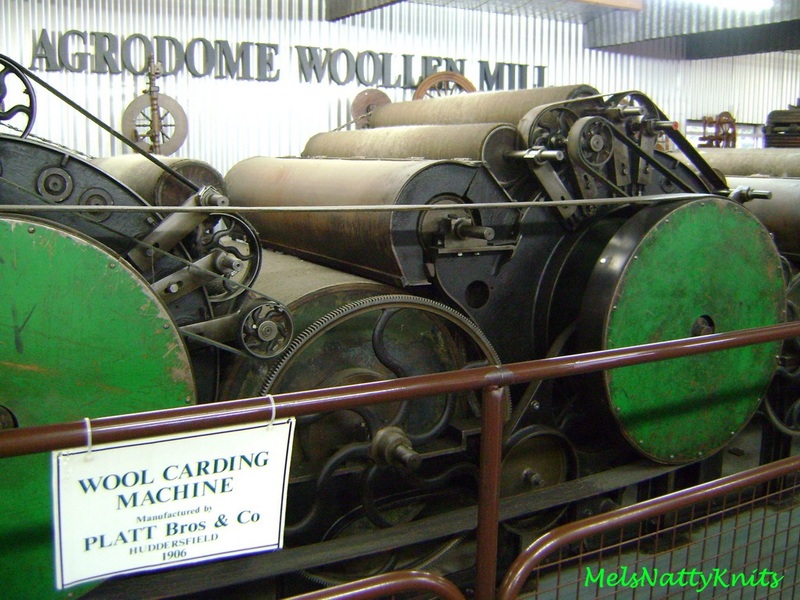 I mean, you don’t expect me to travel to New Zealand and not buy wool 🙂 There was also this massive old carding machine on display… All in all this was a very long day as we had visited the Rotorua Thermal Springs prior to The Agrodome. 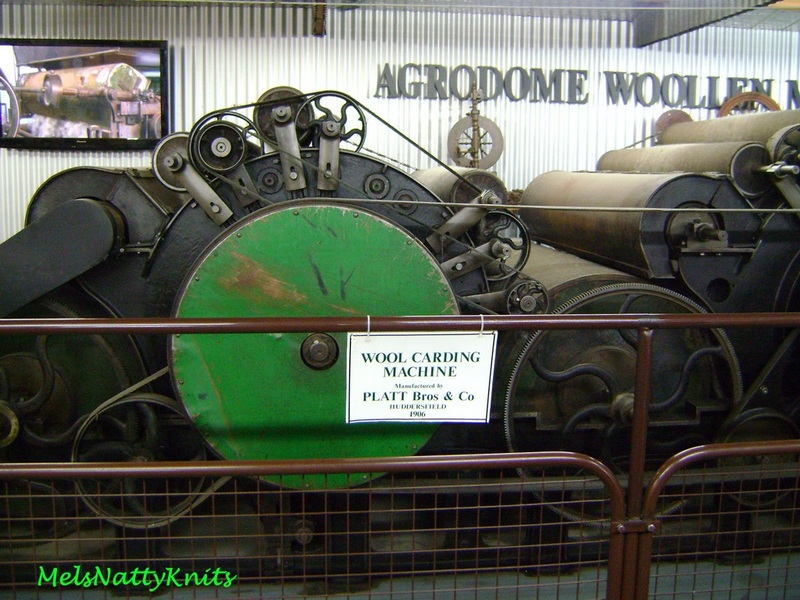 I would certainly recommend you visit The Agrodome if you’re ever in Rotorua; even if you’re not a fibre freak. 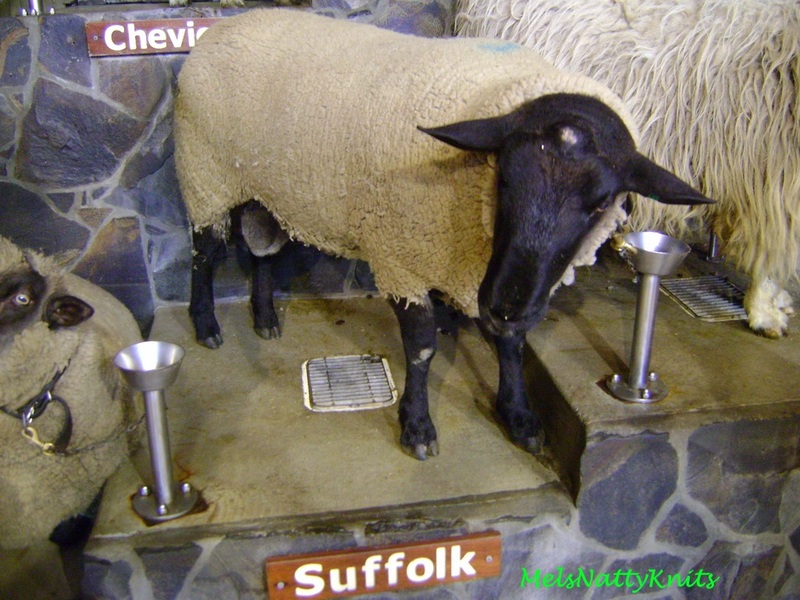 The sheep show is really entertaining plus there’s also a display of two dogs rounding up some geese on the stage too. 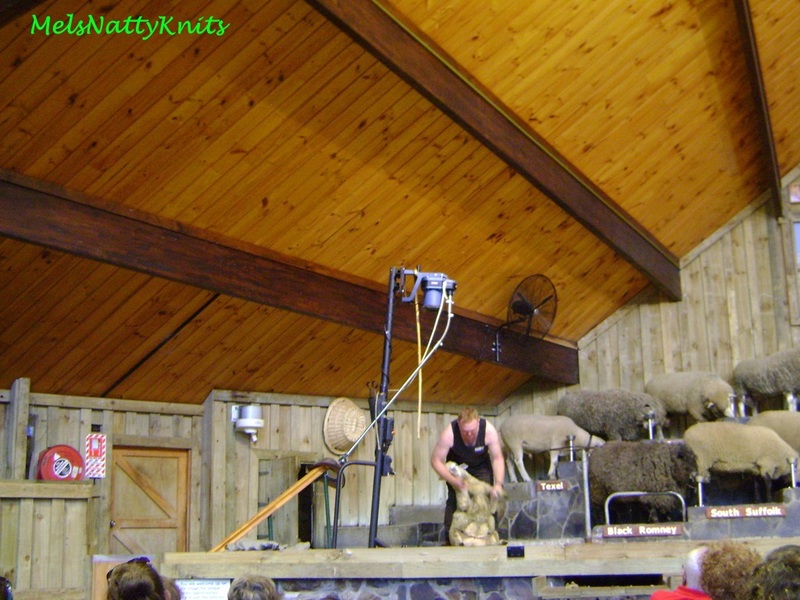 I forgot to mention that a sheep was sheared on the stage and then the shearer threw bits of the shorn fleece into the audience so we could all get to feel the greasy lanolin on the fleece. 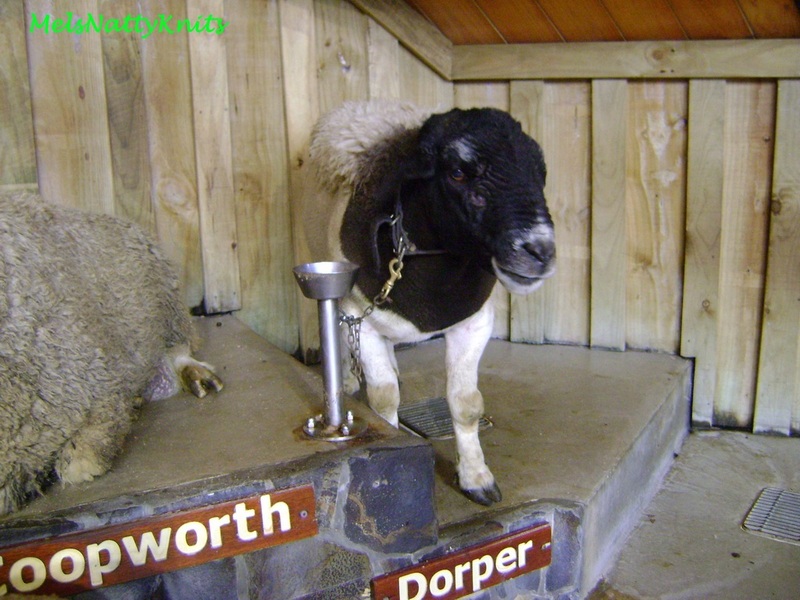 I hope you enjoyed this little taste of my New Zealand adventure.